It’s summer time and vacation for many people. 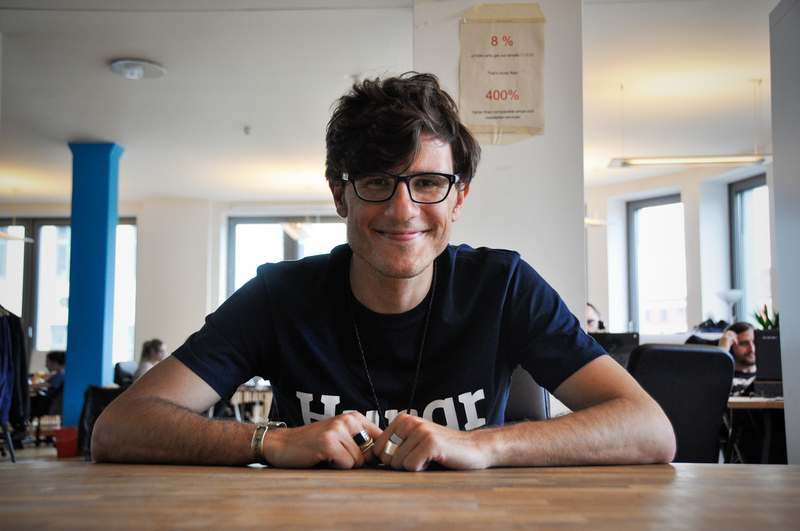 This week, we talk to Raffaele from Hungr about his favourite apps for travelling and he reveals a special place from his best trip. Remember to sign up for Hungr here. Vacation time is coming up – which apps and sites do you use to plan your trip? Once you are actually on vacation, which travel apps do you use to get around and improve your travel experience? I am still sticking to TripAdvisor. I don’t like to spend too much time on my phone, while I’m on vacation, but TripAdvisor is still a good tool to compare things. Also I use blogs. You can easily search for local blogs on your phone by typing name of the city of area plus blog. You have real people writing about their cites on blogs. I really trust the blogs. Are you online or offline when you are on vacation and do you take pictures and video with your smartphone and if you do, where do you post them? Nice question. I try to be offline because I like authentic experience. But at the same time once you get back to your AirBnB home, you like to share memories with your friends. Typically on Facebook. But lately, to tell the truth, the app I love most for travel and for everyday life is called 1SecondEveryDay. The app allows you to take the video you took the day and choose one second frame and put it in a calendar. Then the app creates a video from your frames. So right now, my favourite app is 1SecondEveryDay. What was your best vacation ever and can we find pictures or video from that vacation on social media? Again, nice question. My favourite trip so far has been to Barcelona in Spain. It was in June 2008. And of course you find pictures from the trip. I discovered a lot of different things on that trip, where I travelled alone. The city allows you to do everything. It’s sunny and it’s full of art. 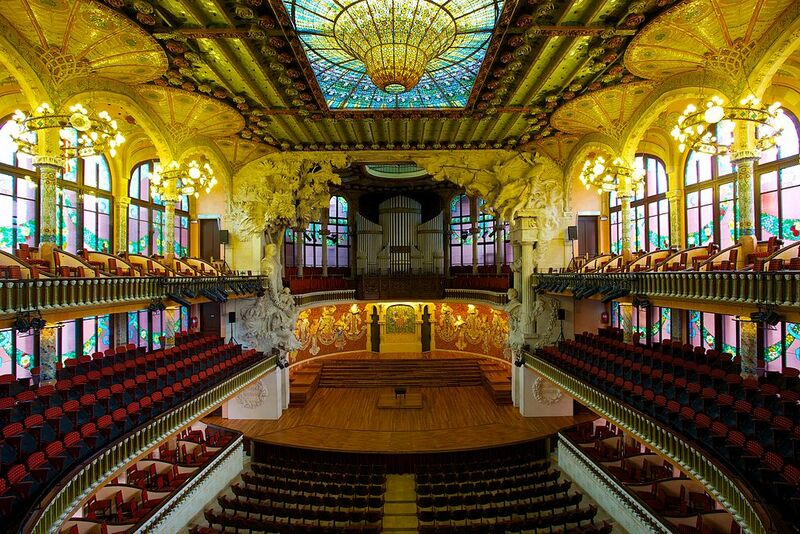 And I think the thing I love most about Barcelona is a place called Palau de la Música Catalana. Not so many people know about it, but you can find lots of pictures on the Internet, especially of the interior design. Discovering that magical place was part of making the Barcelona trip my favourite. Thousands of people – millions of people actually – are coming to Berlin this summer. The German capital is becoming one of the most popular tourist destinations in the world. What are your three best tips for all these visitors coming to Berlin? Another nice question. First of all: take the bike. I ride my bike every day and during the summer it is extra wonderful. Riding on a bicycle will give you the best feeling of the city. Berlin is not just about clubbing. It is actually an amazing and relaxing place. It is not like Milan or Paris or other big cities. My second tip is having brunch in Prenzlauer Berg on a Sunday morning, where you will be surrounded by not so young people but you get another feeling of the city: young families with the will to procreate. To create life. You are literally sorrounded by baby carriages. My third tip is actually something I did not do myself yet. Kayaking in the river Spree! These are my three tips to all the visitors coming to Berlin. You can follow Raffaele on Facebook here and on LinkedIn here. You can follow Hungr.co on Facebook here and on Twitter here. Photo credit: Portrait by Shixin Liang, The Contentmakers. Barcelona photo from Wikipedia. This post and all the content therein is published under the Creative Commons CC BY license. Berlin is the center of the world this weekend with thousands of fans flocking to the already popular tourist destination. Also in the start up community, the atmosphere is tense and full of excitement for the game. We talked to Dimitrios Ploutarchos, Jack of all trades at Hungr, about his relationship with football. Today we are talking about football. To get things started, which is your favourite football team and who is your favourite player? My favourite football club in Germany is Borussia Dortmund and my favourite international team is F.C. Barcelona. My favourite player is Lionel Messi. Do you follow any of the clubs and the players on social media? Yes, I definitely follow my favourite clubs. Which is the best football match you ever saw? And were you on the stadium or did you watch it on TV or in a sportsbar? Do you remember your favourite game? Yeah, I do. It is actually quite some time ago. Maybe already 20 years now almost. It was in the nineties. It was the Champions League final between Dortmund and Juventus. Dortmund won the match 3-1. It is my favourite game. I watched it with my father. It was a great experience. It was so fun. Do you use football apps to watch the game? Yes I do. I use the Kicker app. I really like it. I also use the OneFootball app. But I really prefer the design of the Kicker app. Do you go to any football games in Berlin and do you have any tips for sportsbars in Berlin? I do sometimes go to the Hertha Berlin games in the weekend if there are some good teams coming to visit. 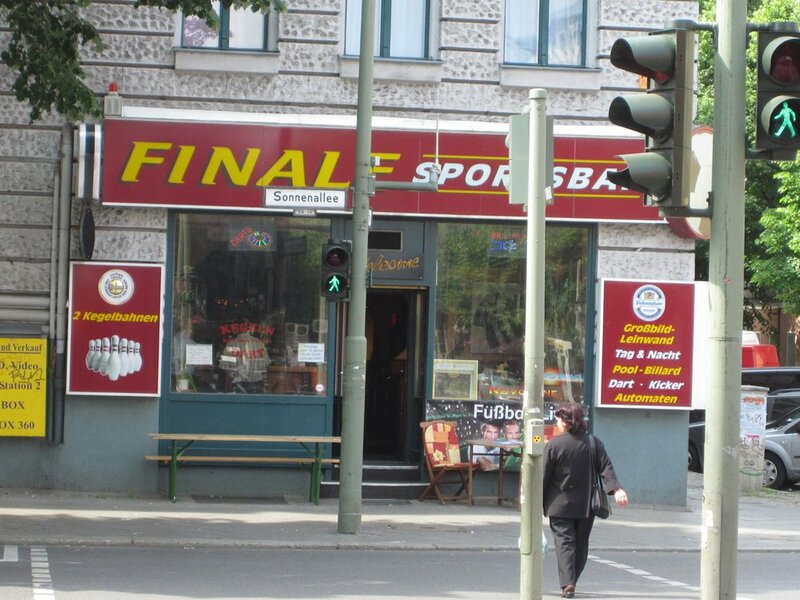 For sportsbars, we sometimes go to this dodgy place in Neukölln called Finale. It is nice because it is always empty, so there is a lot of space to sit and enjoy the games. Sportsbars are usually dodgy, aren’t they? Yes, but this one especially. We have a big game coming up in Berlin this weekend. It is the Champions League final and probably the biggest sporting event of the year in the world. Are you going to watch the game? I am definitely going to watch the game. It is the best football match of the year. I am not sure who is going to win. I think Juventus is a very strong defensive and a tough team to play. But I really hope that Barcelona makes it. I love seeing their way of playing and want nice football being awarded with the title. Are you going to update on social media during the game or are you offline? Remember to sign up for the Hungr app here. In this week’s edition of “Meet the Hungr team” we talk to Martijn Suister, Hungr’s man in Amsterdam. About his favourite apps, food (he really loves that soya sauce!) and the difference between Berlin and the Dutch canal city. Read more about Hungr here and be one of the first 1,000 signups here. What is something that you can really get a craving for in Amsterdam? What are your three favourite social networks? 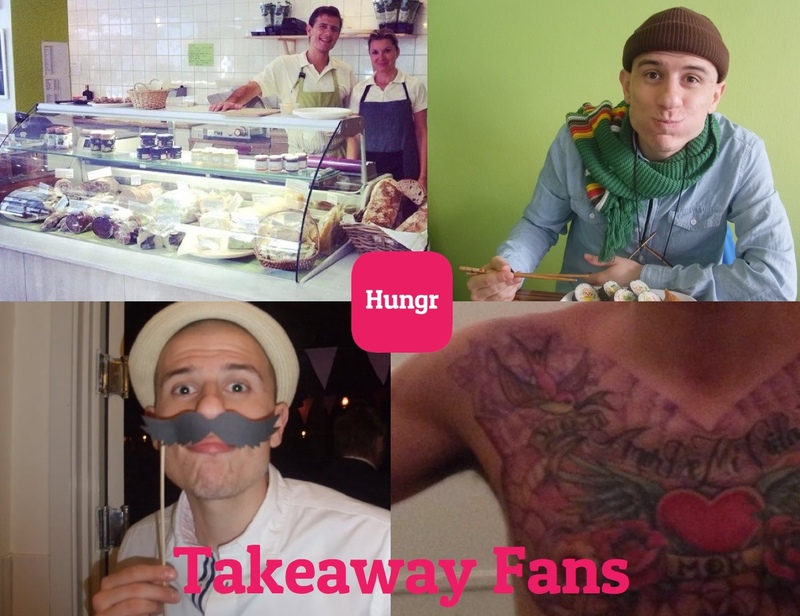 What is your favourite meal to order as takeway? What is the biggest difference between the startup community in Amsterdam and in Berlin? You can follow Martijn on Facebook here and on LinkedIn here. Photo credit: Portrait by Shixin Liang, The Contentmakers. 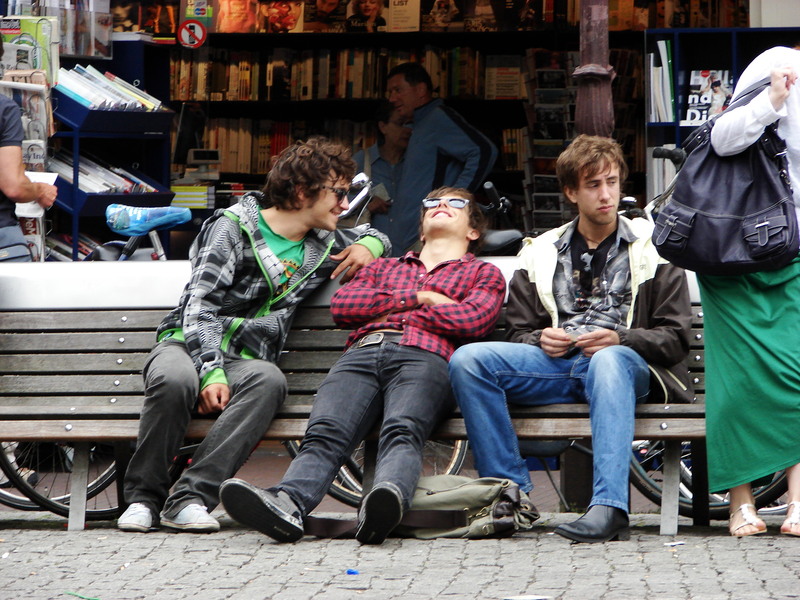 Amsterdam hipsters photo by Mary Streepy. Eimear McCormack works for Hungr out of Dublin, Ireland. 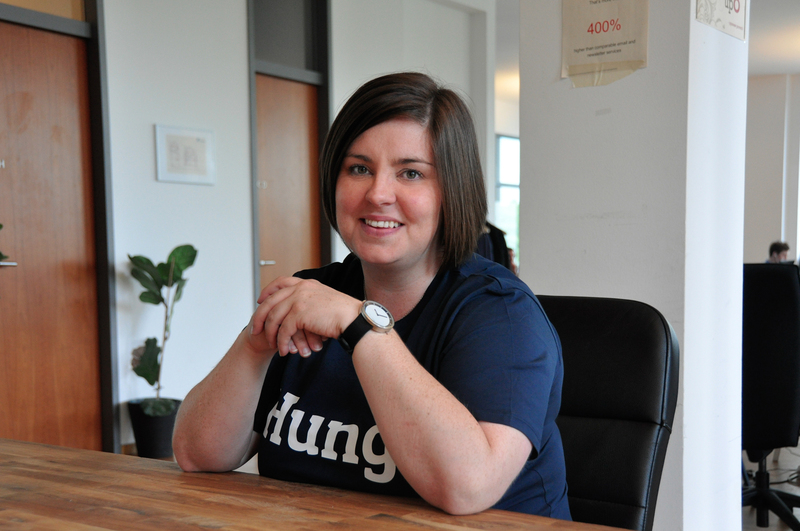 Recently, during a work session at the Hungr HQ in Berlin, we caught up with her and asked her a few questions about city life, apps and the Euro! Read more about Hungr here and be one of the first 1,000 signups here. What is something that you can really get a craving for in Dublin? Unlike the UK, Ireland has the Euro – how do you feel about that? 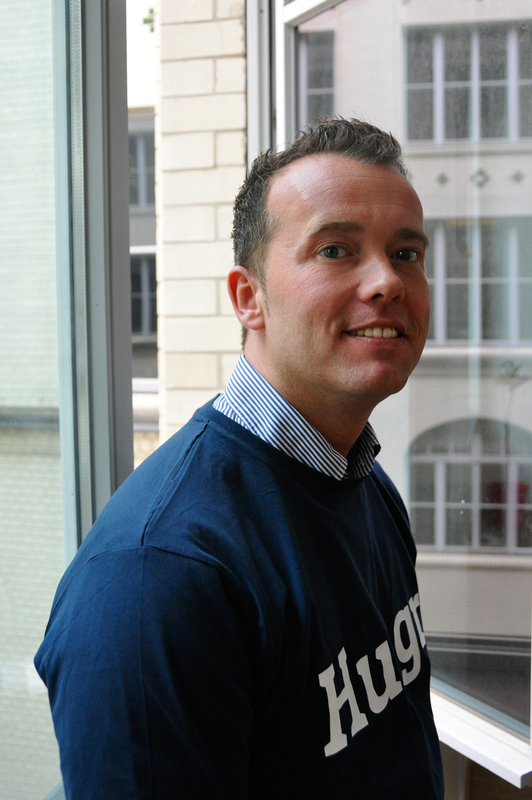 Meet Martijn Suister, Hungr’s man in Amsterdam, in next week’s blog edition. You can follow Eimear on Twitter here and on LinkedIn here. Photo credit: Portrait by Shixin Liang, The Contentmakers. 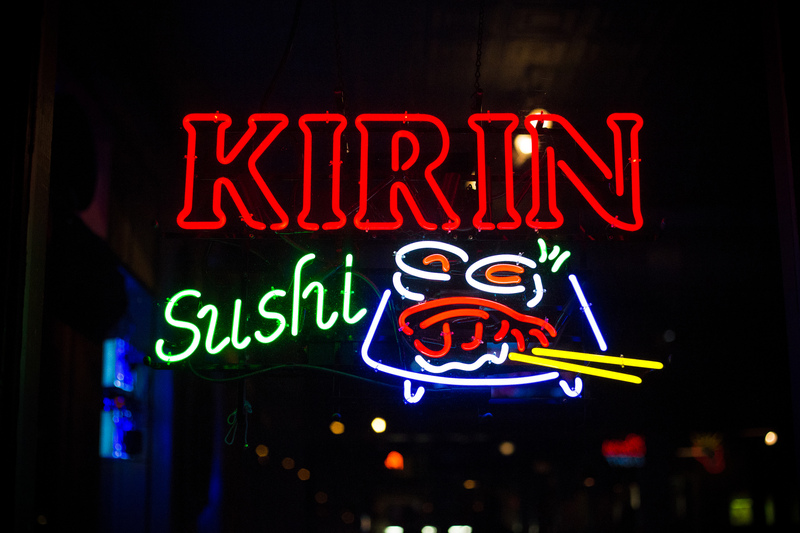 Neon lights photo by Sean Davis.